Prettier than blossoms, fresher than sunrise and more magical than stardust, they make flowers bloom and grow. They’re the Petal Fairies! 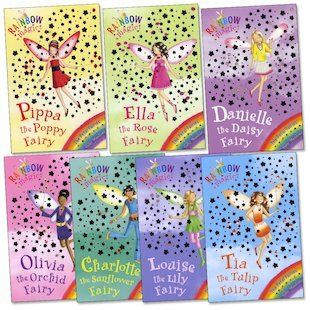 The Petal Fairies have a very important job helping flowers to grow in the human world. But when Jack Frost sends his goblins to steal the fairies’ magical petals, hoping to grow flowers in his cold and dreary ice castle, the petals end up scattered in the human world. Rachel and Kirsty must help each fairy to find her magic petal – before the goblins get their hands on them. But this time, Jack Frost has given the goblins a wand to help them. He’s determined to get those petals, whatever it takes! 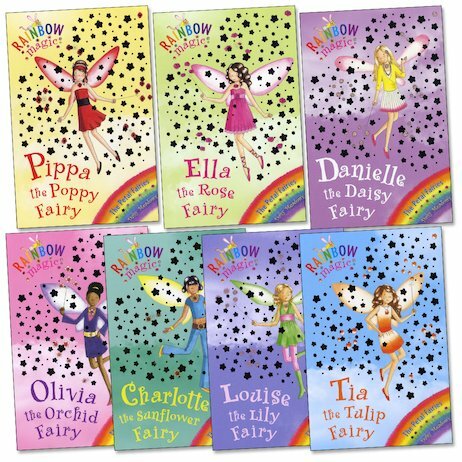 My favourite is Louise the lily fairy. They have to help the petal fairies find their magic petals now.